10 Indian Picture Books for Kids 4 and Under - GetLitt! Today we’re going to talk a little bit about Indian picture books for kids 4 and under. We wanted to create a list of picture books that would help you get your kids excited about learning to read. There are a lot of picture books available nowadays. However, our list of picture books are all written and beautifully illustrated by Indian authors and illustrators. 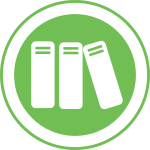 Picture books are essential books for children (although adults love them too), where the images play a central role in telling the story. Often the illustrations are more important than the words and help children who are new to reading understand the story. Most picture books will have beautifully illustrated pictures on each page with minimal or simple text. This is especially the case when the books are targeted to children 4 years and under. Typically picture books are meant for young readers. However, there are many incredible picture books for middle grade and older children that have been published. Many of which you can find in the Getlitt! library, so do make sure to check those out. Now that you’re up to speed about what they are let’s get right to our list! 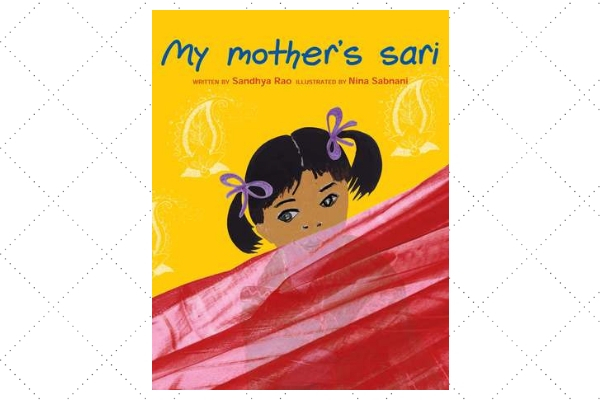 This lovely picture book looks at all the ways a sari can be used through the eyes of a young child. The book starts with showing the reader how to wear a sari. After which, we get to see the imagination of the young protagonist as she turns the sari into a train, a river, a swing and finally into a comforting wrap to take a nap in whenever tired. The simple text that follows the unconventional pictures and photographs will captivate young readers. Read My Mother’s Sari on Getlitt! Today. The first book in the highly popular Gajapati Kulapati series is about a fun-loving elephant who has caught a cold! The cheerful illustrations accompanied by simple text really makes this a great picture book for someone who is just learning to read. There are three picture books in this series, and if you like this one, you can find the rest in the Getlitt! library. Read Gajapati Kulapati on Getlitt! Today. 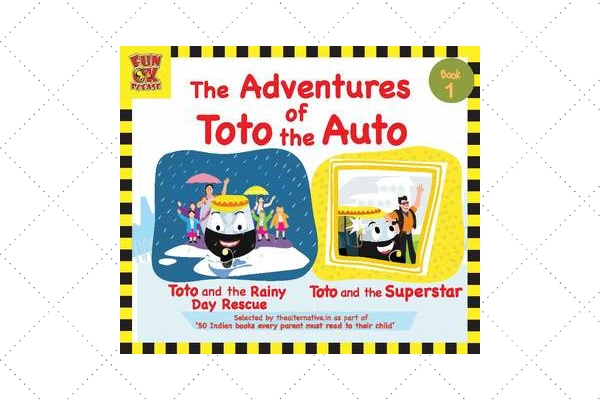 When it comes to moral stories for kids that are fun to read – The Adventures of Toto the Auto is the first picture book that springs to mind. The always helpful Toto and his drive Pattu are always quick to help people out in whatever the situation may be. In book 1 of the series, they even rescue a famous Bollywood star from a herd of fans and photographers! Learn about values such as bravery, kindness, confidence and doing the right thing through this picture book. Read The Adventures of Toto the Auto (book 1) on Getlitt! Today. This picture book won The Hindu Young World-Goodbooks Award for Best Picture Book – Illustrations in 2018. 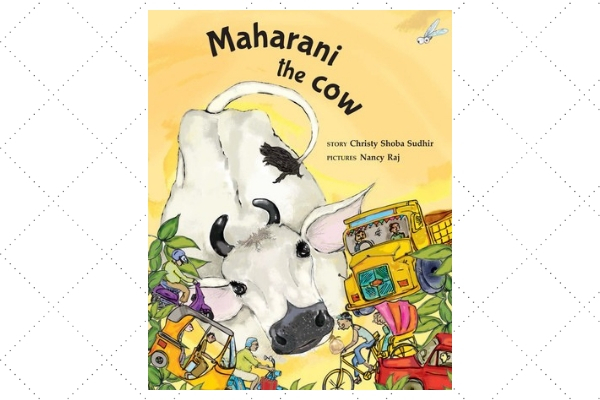 So, let Maharani The Cow enchant your young readers with it’s beautifully illustrated pages. Maharani, the cow, has decided to chill in the middle of the road and no one can get her to move. Motorbikes, cars and buses honking can’t do it; even the impatient auto wallas can’t get her to move. Just how will the road get unblocked? You’ll have to read this stereotypical Indian picture book to find out. Read Maharani The Cow on Getlitt! Today. Now here is one fun picture book that you’ll have to read aloud to enjoy it fully. Raga, the rooster, wants to find his unique voice. The only way he knows how to do that is by imitating the other animals around him until he finds one that suits him perfectly. So, warm up those vocal cords as you’ll have to put on a performance when you read aloud this picture book. 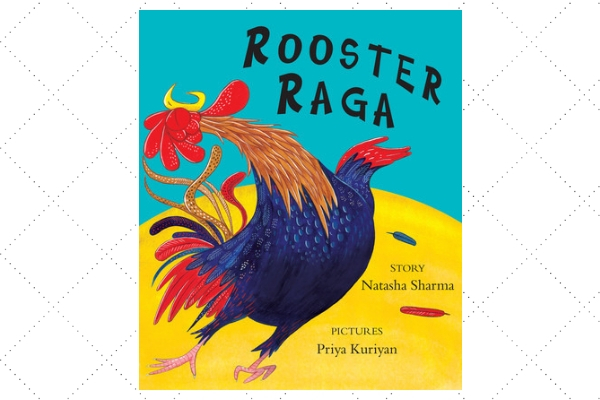 Read Rooster Raga on Getlitt! Today. 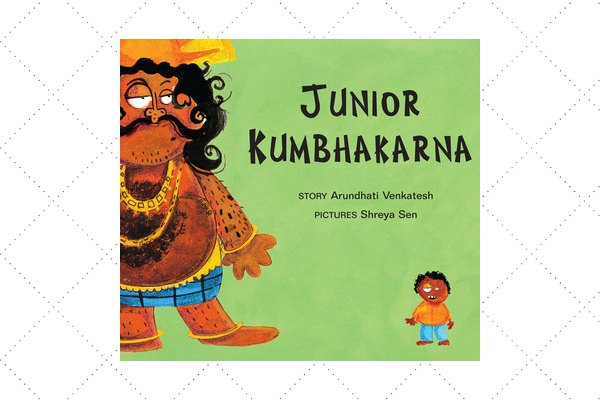 Yet another award-winning picture book – Junior Kumbhakarna won Best Indian Children’s Book (0-5 years) at the Parents and Kids Choice Award. This picture book is about a little boy called Kukku who falls asleep listening to his favourite story about the giant Khumbhakarna. This giant sleeps non-stop for six months, and no matter what people do, they can’t seem to wake him up. Even sweet-smelling (and beautifully illustrated) laddoos can’t seem to wake the sleeping giant. So just how do Kukku and the Khumbhakarna wake up? You’ll have to read the picture book to find out. Read Junior Khumbakarna on Getlitt! Today. Monsters can be good and pleasant too, just like the one in this picture book. Karimunga is a beautiful and pleasant rakshasa, but that makes all the others jealous. However, Karimunga doesn’t like to see his rakshasa friends unhappy and tries in his own way to make them feel better. 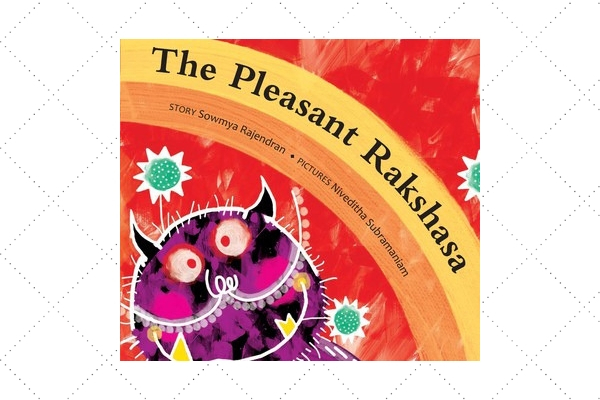 Vibrant illustrations and simple text will help young readers fall in love with Karimunga, the pleasant Rakshasa! Read The Pleasant Rakshasa on Getlitt! Today. 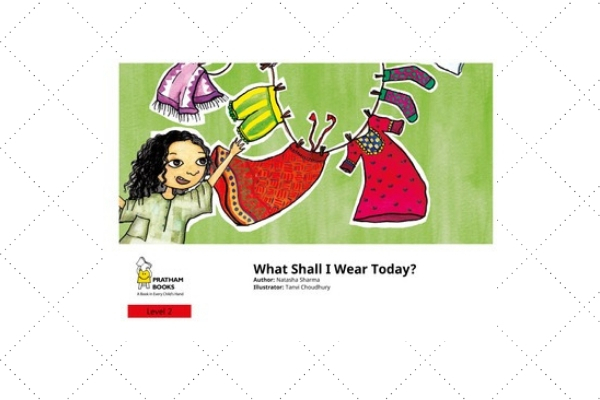 Now here’s a book that helps with the age-old question – “what shall I wear today?” Well, in this picture book our little protagonist goes through her entire wardrobe. She describes all the clothes she has while wearing each outfit. Can she find something that is just perfect or will she be stuck trying on all her clothes? Read What Shall I Wear Today? On Getlitt! Today. 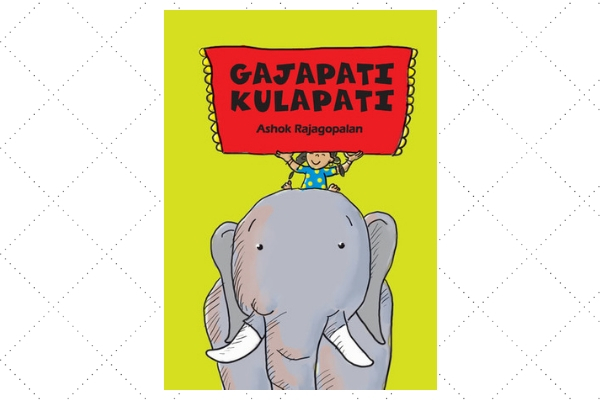 The Gajapati Kulapati series of books is about a happy-go-lucky elephant that finds himself in interesting situations. This is the third picture book in the series and this time Gajapati Kulapati has been overeating. Read aloud to your little one as this elephant finds a cheery cure for his tummy troubles. All three picture books are available to read in our library. Read Gajapati Kulapati Gurrburrrooom! On Getlitt! Today. 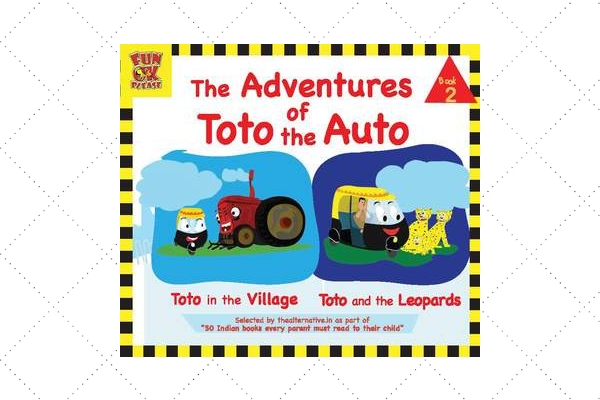 Picture books can also teach kids morals, like in this beloved series – The Adventures of Toto the Auto. Toto is an auto that always tries to the right thing in all situations. In book two of the Adventures of Toto the Auto, Toto and his driver Pattu solve problems, help people and try to do it all keeping their morals in check. This picture book helps teach young readers values such as kindness, bravery and confidence. All three books in The Adventures of Toto the Auto series are available in our library. Read The Adventures of Toto THe Auto (Book 2) on Getlitt! Today. We hope our list of Indian picture books for kids 4 and under is helpful for you. 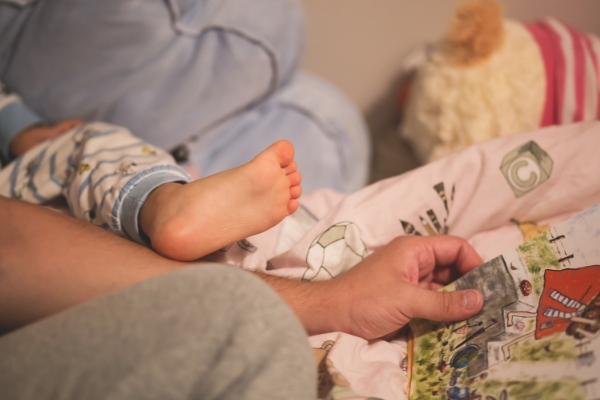 The ages of 0 to 4 is a great time to introduce the concept of reading through picture books. Parents can read aloud, while their little ones listen and observe the pictures. The simple text coupled with the beautifully illustrated pages will captivate young readers and their minds. At this tender age, picture books tend to be more focused on the images and less on the text. However, as they grow, that balance shifts and the words carry more weight while the illustrations act as suggestions. It’s important to have a variety of picture books for different ages that can get young readers exciting about reading. We have picture books for all ages on Getlitt! that are aimed at encouraging children to read. So, if you don’t find something on this list of Indian picture books for kids 4 and under, then head on over to getlitt.co for more! Next Posts Valentine's Day According to Book Lovers - It's All About Reading!